Most of my peers are always bugging me about my “Home Lab”. I understand that I have “a problem”, to put it mildly. What can I say, I like to find good deals or refurbish equipment that just needs a loving home. 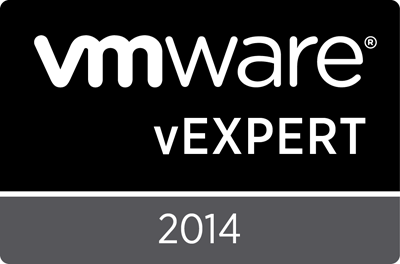 Much of what I work with has VM applicance or simulator versions available – but it’s just not the same. You can’t monitor a VM’s temperature or fans in a monitoring solution. You can’t have faulty cables. You don’t get to understand the heat, power, cooling, rack space issues that come with the physical. It’s not as easy to visualize issues with LACP when it’s virtual. So… I’ve built a full 42U rack in the basement, and I’m looking at customizing it to be an ‘actual’ datacenter, with some cooling, power management, separate circuits, etc. Juniper SSG-140-SH – chosen because SSG’s are something I’m certified on and the 140-SH is the first one that includes the HA licence built in. Looking for a second inexpensive unit. 2x Barracuda 340 Load Balancers – Everyone needs some Layer 3-7 balancing and redirection. Digi CM32 32 Port Console Server – because who wants to go move console cables around. Cheap, and effective. 2x Dell PowerConnect 6248 48 Port switches – with stacking modules and 10GbE CX4 modules. Serves my needs just fine. Dell C6100 Cloud Series 2U 4 Node (2x L5520 Quad Core, 24GB, 6x 1GbE, 120GB SSD/8GB USB per node) – the core of it all, the cluster. APC SmartUPS 3000XL – it regularly complains that I’m hurting it, at 110V/30A. I’m not surprised. I realize it’s a little crazy. But I don’t race cars, or rebuild a classic car, I don’t have season tickets to a sport, I don’t go drinking with the guys once a week. This, is my hobby. Rock stars love music, and I”m hoping that someday, I’ll get seen as a “Rock Star” in our industry. Time will tell! Soon! Should be a new rack coming, and some additional equipment. New 10GbE switches to go in after VMworld…. Great setup you have there. Sounds more like a Home Datacenter. Cooling is pretty much the rational limiting factor to what I can do. I did et creative and zip ties 3 box fans to the front door of the rack, set on low. This keeps a nice continuous flow of air if nothing else, even if it’s ambient heat. The rack is in my furnace room, and it’s winter half the bloody year in Edmonton. So I keep a window open in the basement and the air circulates through the house. It’s far from efficient, but the furnace never kicks in more than the fan all that often ;). The worst part, is the ducting carries all the noise everywhere. So naturally the new phase is seeing how to do things more efficiently. If not by replace and reduce then by control. So for all the firewalls I’m looking at a switched/managed ATS. Partially to get more experience and understanding with ATS’s, and partially to allow me to only turn on what I need, when needed, even remotely. And power is pretty cheap here so far. $0.065/kWhr I think. Transmission and admin fees are the bulk of my bill u fortunately.